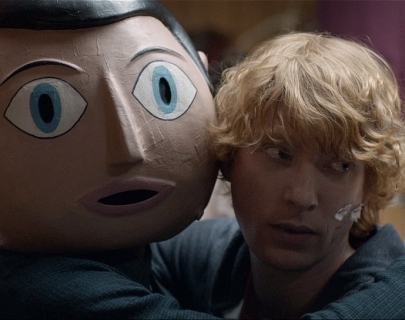 Inspired by writer Jon Ronson’s experiences of playing keyboards in the band of legendary papier-mâché-headed 80s pop star Frank Sidebottom, this madcap band movie stars Domhnall Gleeson (About Time, Anna Karenina) as Jon. An office drone, he ends up by a chance of fate being recruited into the band of reclusive off-the-wall pop star Frank (Fassbender, with his face obscured for much of the movie). Desperate to be “cool” Jon begins uploading their rehearsal videos online, and soon word-of-mouth buzz secures them a gig at the famous SXSW festival in Austin, Texas. But while Frank continues to hide inside his massive head, the inner-workings of his own head become more and more fragile, and public scrutiny threatens to push him, and his band, over the edge.